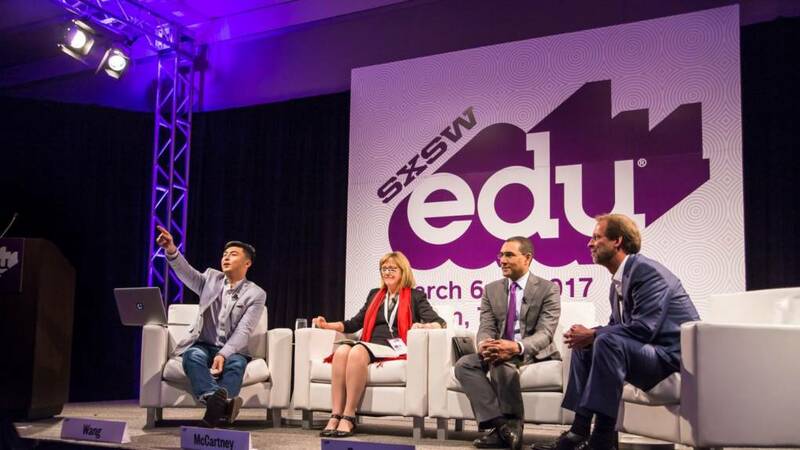 Discover new innovations in teaching and learning at the eighth annual SXSW EDU from March 5th through 8th in Austin. SXSW EDU is part of South By Southwest, a program of conferences and festivals dedicated to inspiring collaboration among creative professionals. The conference provides administrators, teachers, and students with opportunities for professional networking and personal growth through speaker sessions, workshops, film screenings, discussions, and other events. Make sure to catch a screening of the new PBS documentary American Creed, followed by a Q&A with director Sam Ball. Later, learn about empowering student learning through public media with KQED Education’s Executive Producer Annelise Wunderlich. If you need a break, come visit KQED in the PBS Teacher’s Lounge to connect with fellow educators over a cup of coffee. Watch the new PBS documentary American Creed, followed by a Q&A with director Sam Ball and members of the cast about what it means to be an American. The documentary features former Secretary of State Condoleezza Rice and historian David Kennedy as they unite across party lines to explore American ideals. By highlighting stories from a diverse group of Americans, the film examines how Americans can come together across cultural and political differences. Discover how public media resources help students become leaders and innovators both inside and outside the classroom. Join Annelise Wunderlich and several other public media representatives for a panel about how to enhance digital literacy, creativity, and critical thinking through public media. Prev Join KQED at the CUE National Conference in Palm Springs Next Presidential Popularity: How Much Does It Really Matter?